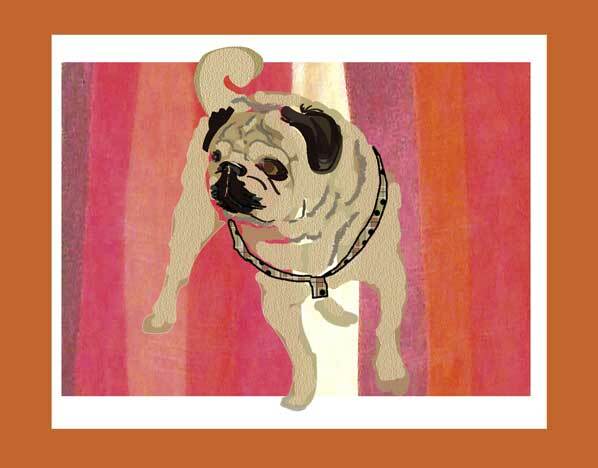 When I first adopted my pug, Henry, he opened my life as I knew it immeasurably. Words that come to mind when I think of him include: strong, loving, jaunty, solid, curious, amusing, & so good by nature. But then in these past couple of years his good health diminished. It was up to me to be his eyes, his ears, and at times, his legs. Henry’s nature was also seemingly indefatigable – and this image of him that I created is my homage, as my spirited memories of Henry will live on.